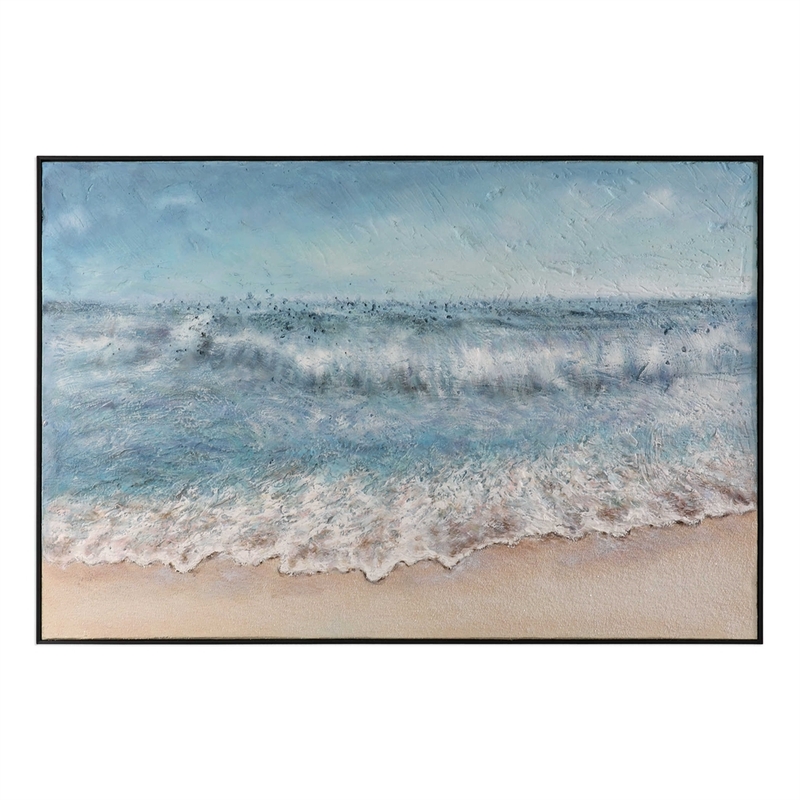 Hand painted, textured seaside artwork features a tranquil combination of varying shades of blue and dimensional qualities. Foam is attached to stretched canvas and then attached to wooden stretchers. 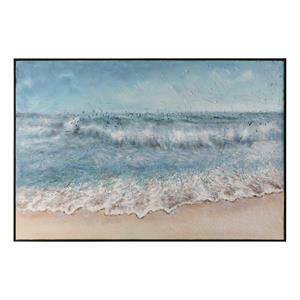 The artwork is accented with a satin black gallery frame. Due to the handcrafted nature of this artwork, each piece may have subtle differences.